Dubai: Ravichandran Ashwin, in his first season as IPL captain, has scored a point over the rest with a cerebral approach to his task and is not shy to vary his strategy in a demanding environment. Kings XI Punjab have had the talent to test the best in the past, but they lacked a firm captain to steady the ship. Ashwin’s calm presence has brought the best in the team so far which is now cruising towards a spot in the play-offs. Ashwin, an engineering graduate, is also a shrewd student of the game. After making his debut under captain cool Mahendra Singh Dhoni for Chennai Super Kings and having played with him for almost 10 years including Rising Pune Supergiant, Ashwin has raised a few eyebrows with his style of functioning as a player and as a leader. Punjab’s Australian star Aaron Finch, speaking to Cricketnext.com, said: “I think Ashwin has been outstanding. While he hasn’t had a lot of experience of leading the side in the past, he has been a successful cricketer and has brought that to the table as a leader. He is very calm and that comes with playing under M.S. Dhoni. MSD is a cool guy and Ashwin has also been calm and made some great decisions,” he revealed. In the current season, one could see Ashwin bowl many leg-spinners to keep the batsmen guessing and sow the seeds of doubt to go after him. When many questioned his decision to bowl leg-spin, Ashwin got a big thumbs-up from none other than Indian legend Sachin Tendulkar. “I feel it can only help. It’s like you know two to three different languages. Now there is no harm in knowing five or six different languages. It can’t take away anything from you,” Tendulkar said in reference to the bowler’s experiments. “It’s exactly the same when one develops more variation. So it’s wrong to say that they (finger spinners) are joining a bandwagon now that they are bowling leg spin. No, they aren’t. Rather, we should see that they have put in effort to develop a delivery,” he said. With only a couple of victories needed from here, Kings XI is confident of making the play-offs, especially after getting back to winning ways against Rajasthan Royals on Sunday. Lokesh Rahul adopted a cautious approach to take his team home with an unbeaten 84, chasing a tricky target of 153. Punjab next face Rajasthan Royals in Jaipur on Tuesday. Ashwin was all praise for Rahul, but stressed that there are a lot of areas that need to be improved upon. “We have some chinks in our armour. This win, we were tested. One of our batters stayed through to the end so pretty happy with that. Most of our wins have been set up by the bowlers and that’s been pleasing,” he said. “I came in with an open mind as captain, I just wanted to gauge the team and get the best of them. Mostly a captain’s job is setting the field and shuffling the bowlers and planning the right batting order. Bowlers will keep getting hit in T20s. 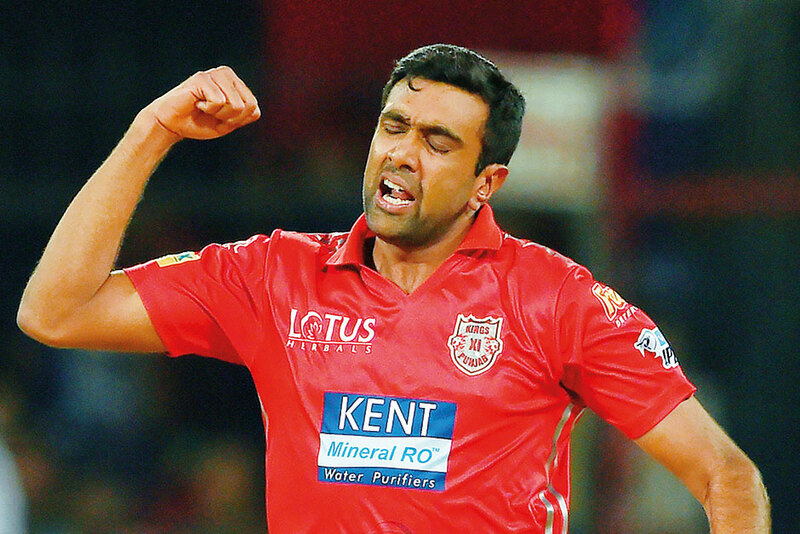 The ones who get hit this game will help me win the next,” said Ashwin.